Join me in raising funds and awareness for United Hatzalah of Israel. I am doing this In Memory Of my grandparents & my friend Yannick Rosenberg . My name is Tsvi. I am married and have three children. I'm an aeronautical engineer and a Major (Res.) in the IDF. I am a volunteer EMT with United Hatzalah. As a United Hatzalah volunteer EMT, I respond to emergency calls in my neighborhood on a daily basis. United Hatzalah is a free, volunteer-based emergency medical services (EMS) organization based in Jerusalem. Founded in 2006, it is the largest independent, non-profit and fully volunteer EMS organization in Israel, with more than 3,500 emergency medical technicians (EMT), certified first responders, paramedics and doctors dispersed throughout the country. 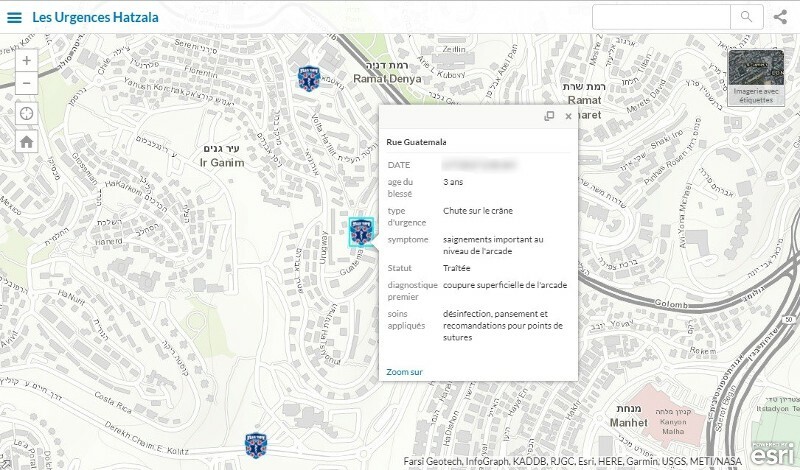 United Hatzalah's LifeCompass Command Center uses advanced GPS-based dispatch technology to identify the closest and most qualified volunteers to the scene of an emergency and routes those individuals through a mobile device application. 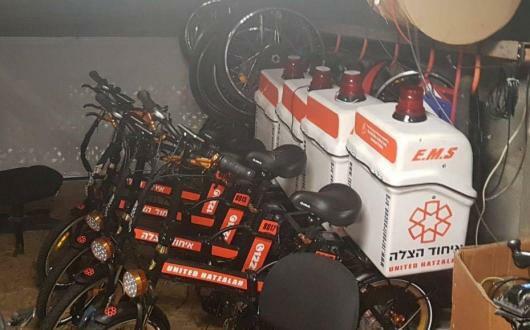 Cadres of trained civilian volunteers throughout Israel create a web of emergency first responders, each outfitted with medically equipped motorcycles or e-bikes capable of reaching victims in as few as 90 seconds. The organization is funded exclusively through private charitable support. I live in the Kyriat Yovel neighborhood of Jerusalem. Kyriat Yovel is only 2 square kilometers (~0.8 square miles), but has over 25000 residents. There are many medical emergencies, and the streets are very narrow and jammed. The Ambubike (electric bicycle ambulance) is therefore the most suitable vehicle for first response (BLS and PHTLS) in minimum time! The e-Bike-Ambulance will be equipped with all the requisite equipment and supplies to provide first response (see the attached list). Supplies will be replenished for at least 3 years. 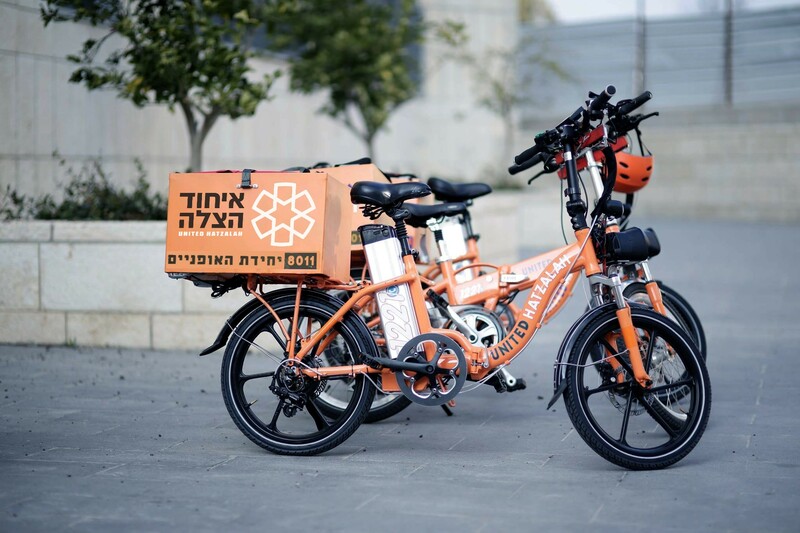 The e-Bike-Ambulance makes it possible to arrive at the scene of an emergency in less than 3 minutes, the difference between life and death in 25% of medical emergencies in Israel. Thank you in advance for your donations (*) and Save Lives Together! (*)Â All donations are tax-deductible - According to many Poskim it is permissible and a mitzvah to use Ma'aser money to donate to United Hatzalah of Israel. De la part de ton cousin Florian et de moi ta tante Odile.N'oublie pas d'Ãªtre prudent, tu seras encore plus utile.Et BRAVO! Contente de pouvoir participer Ã la rÃ©alisation de ce grand projet de sauvetage de vie !! Bravo Tsvi , tous mes encouragements! ! Qui sauve une vie... Magnifique projet! Kol akavod pour vos actions! En te connaissant personnellement, je sais que cette argent va Ãªtre trÃ¨s bien utilisÃ©e! Continue Ã mettre autant de cÅ“ur dans cette si belle activitÃ©. Encore bravo et Ã trÃ¨s vite!